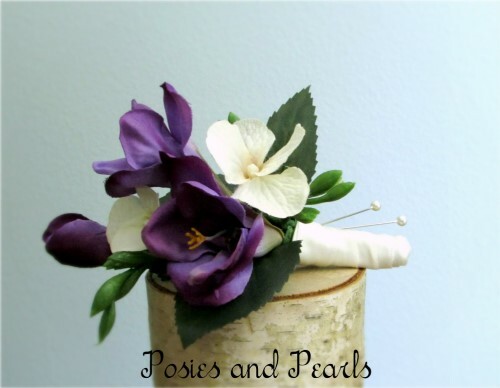 These sweet boutonnieres feature elegant silk freesia flowers in your choice of colors. 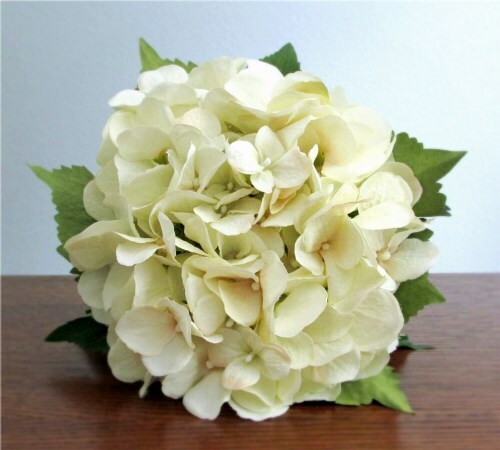 The elegant blooms are accented with ivory hydrangea and a touch of greenery. 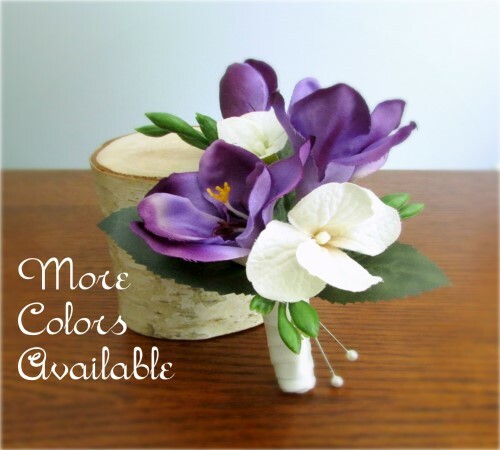 Smooth ivory satin wraps the stems. 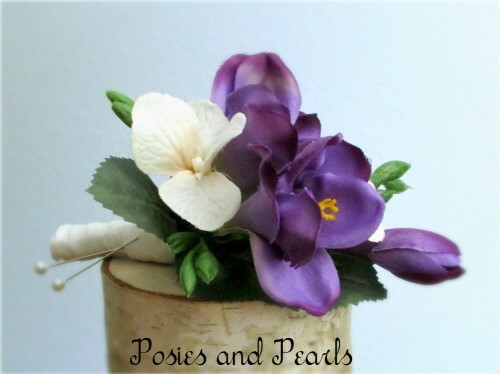 Freesia are a symbol of trust and faith. If you need more than 10 boutonnieres, please contact me and I will be happy to help you. 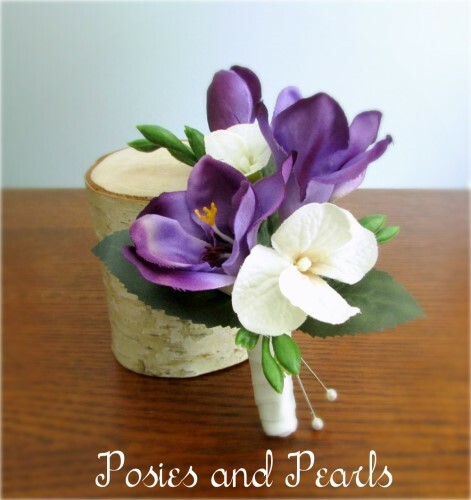 All Freesia Colors are Paired with Ivory Hydrangea. If you's prefer a different color, please contact me anytime. 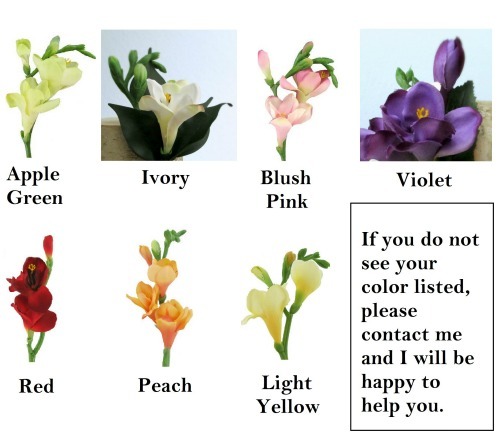 CUSTOM ORDERS: If you do not see your color listed, please contact me for more options. 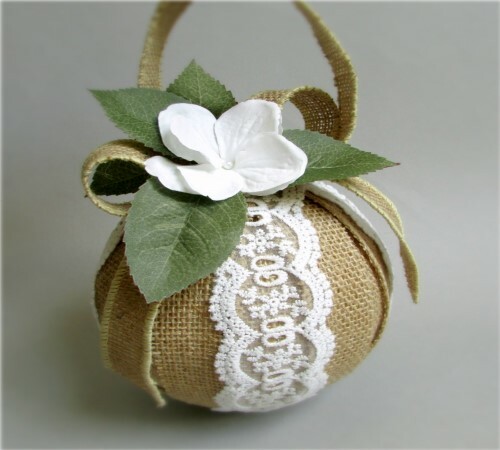 I can also create coordinating pieces for each of your attendants including bouquet, corsages, ring pillows, flower girl baskets, and jewelry. Contact me and I will be glad to assist you.